Happy New Year! I hope it was filled with roaring fires, good wine, and even better snacks. If I had been home, that is what I think makes the perfect NYE. 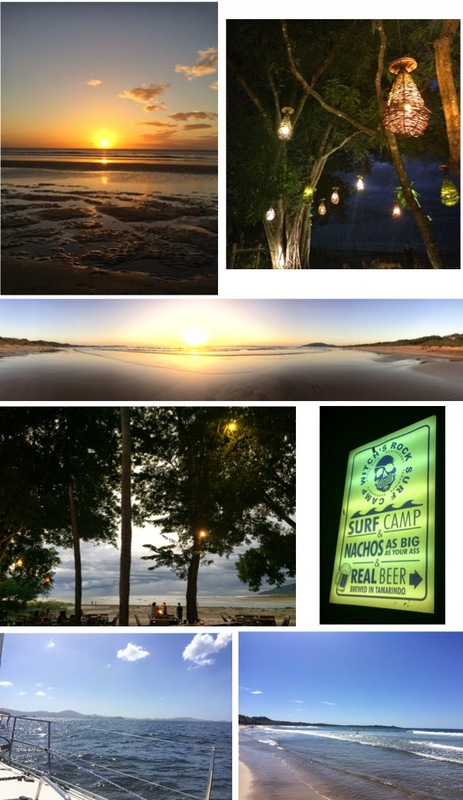 Instead of that, we enjoyed a glorious week away in Playa Grande, Costa Rica. Sunshine all day, the perfect beach for swimming and surfing in the waves, and plenty of quiet time to recharge and relax. It was such a blessing and I am still coming down from it. For those looking for travel info, I would absolutely recommend Playa Grande (direct flight into Liberia). It is close to Tamarindo, but separated by any tourist area. Peaceful and what felt like was a true Costa Rican experience. If you want any more info or tips, email me Erin@imperfectpolish.com. So now it is a new year. New start. And I always feel like resolutions are a waste, but there is no harm in making some observations or hopes for the months to come. Some are things I have been working on this year that seem benign (better posture, use my phone less, stop eating processed junk). Other hopes are to grow my life professionally (build my real estate business, amp up the blog, expand my styling services). And maybe the most important is to just enjoy and live life. The trip away really helped me to see how the minutia of each day can pile up and make me feel like life is more complicated than it really needs to be. And that my day is really a lot better when I have a few minutes to relax, read a book, and have a beverage (diet coke before 5, wine after). I am going to be settling back into a writing schedule, so until then it will be a bit spotty here. But I am thinking about all of you. How you are starting your year, what content you might want to see here in the coming months, and hoping you all are doing a little something for yourself each day to feel good. Glad you're back! Looks like you had a wonderful time away - good for you guys. I look forward to seeing the changes you make with the blog!